It’s a Tuesday, and that means there’s a decent chance that there’s a T-SQL Tuesday event on today. This month’s event is brought to us by Bob Pusateri (blog|twitter), on the topic of presenting. While in university, I landed a job at a Darkzone laser tag centre. I went on to write software (primarily Delphi code) for the laser tag game, which is probably as close to being a game developer as I’ll ever get. One of the main tasks in working at Zone is to perform pre-game briefings to up to 60 people, although usually the audience would be around 15 people. After performing these briefings 10-15 times each week, you completely lose the fear of standing up in front of people and telling the briefing story one more time, and it certainly helps to reassure you that if you practice what you’re presenting enough, you can easily deliver to an audience. Even if you’re making it up off the top of your head, you are still comfortable enough to stand there. That skill came in handy a couple of months ago, where I had the pleasure of making a cultural gaffe in front of 400 non-English speakers. I’m still relatively new to presenting technical ideas in groups greater than about 5 people, but have given a number of presentations, with more planned – hello SQL Saturday 186 in Auckland! That will allow me to make the claim of being an international speaker, but the reality is that I know I have a long way to go to improve my skills. Every time I present, I go through a phase about a week beforehand, where I think “Why did I sign up for this?” I could have stayed at home, relaxing, rather than volunteering to put myself through this scrutiny – completely forgetting that most people want you to succeed. Darkzone briefings are easy – you practice the 5-10 minute talk regularly, and with no great technical accuracy. A technical presentation, however, needs to be correct (as much as possible), and due to its length, you can’t rehearse hundreds of times. At the end of the presentation, however, I’ve come through unscathed, improved myself by researching a topic well, and have imparted some knowledge to other people. I think that’s worth it, and it’s a great feeling when someone gives you positive feedback about how they were able to use the information they gave you, even 18 months later. My biggest tip for presenting would be to respect the audience, and put in a ton of effort in developing and rehearsing. They’re giving you an hour of their time – make it worth it, and you’ll reap the rewards. T-SQL Tuesday #39 – Powershell Sorts! 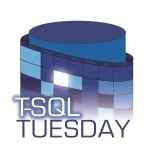 This month’s T-SQL Tuesday is brought to us by Wayne Sheffield (blog | twitter), who asks for some awesome uses of Powershell to manage SQL Server. As with most scripts, I had a flash of inspiration that I could use Powershell to make my life a little bit easier. I spent 2 hours to save 10 seconds of effort, but it keeps saving me often. Six months ago, I needed to sort a list of server names. Nothing too exciting, and most people would fire up Excel to perform the sort. You would first copy your unsorted list into the clipboard, paste it into Excel, highlight the rows (or the entire column) and hit “Sort”. Then you’d select the newly sorted rows, copy it back into the clipboard, and paste it elsewhere. That’s way too much effort. Let’s try this workflow instead: You copy your unsorted list. You click on an icon in your taskbar, watch a Powershell window flash up for half a second, and then you paste your clipboard, noting that the results are sorted. # Add generated strings to data object. $output += $line + "`r`n"
I’m sure there must be an easier way to perform the sort than my 10 line solution, but this was the best solution I was able to come up with in the limited time I allowed myself. making sure to “Start In” the path with the Sort-Clipboard.ps1 file. The –sta flag is necessary to run Powershell in Single Threaded Apartment mode, in order to gain access to the Clipboard class. Start-Process powershell -args "-sta -noprofile .\Sort-Clipboard.ps1"
Credit and code for these techniques must go to Brian Reiter, Dave Regal, and the MSDN Powershell blogging team. Thank you all! Server names are one example, but there’s many more situations where you might want to sort a list in day-to-day database management. You could adapt the code to sort anything – the really useful part here is the access to the clipboard. 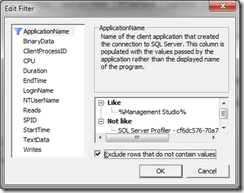 Welcome to T-SQL Tuesday for April 12, 2011. This month is generously hosted by Matt Velic (Blog | Twitter), who poses the topic of APPLY, one of the many excellent additions to the T-SQL language in SQL Server 2005. If you read other T-SQL Tuesday posts from today, you’ll get some excellent tips on how to use APPLY, and a list of the excellent things you can do with it. I’m going to go in a slightly different direction, and examine what your options are when using APPLY with database compatibility level 80. Books Online states that the database must be at least compatibility level 90 to use APPLY. Can we use an APPLY in Compatibility 80? There’s not much to say here, except that I proved Books Online wrong – I can do a CROSS APPLY in Compatibility 80. I don’t know the exact reason why I can do this, but it’s likely to be the simplistic nature of the query (which makes it less interesting). I’ll do a quick little victory dance, and we’ll move on. We’ve seen that APPLY using functions is a handy tool, but can we still use it in databases that are in Compatibility 80? The following is a workaround, but it’s a bit of a hack. I just like thinking outside the box. The limitation here is that we cannot let a Compatibility 80 database execute the query. We can, however, run the query from within a different database, such as Master (ignoring permission issues) by using sp_executesql. The main reason I’d want to use APPLY is to use the DMFs with the DMVs provided by SQL Server 2005, such as sys.dm_exec_*. 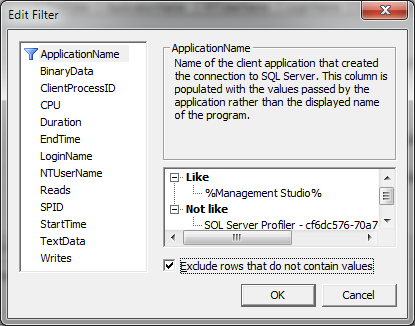 However, these DMVs typically supply a database_id column, meaning you can run the query from within Master anyway. With that in mind, I can’t think of any real benefit of this technique – it’s almost always a better option to simply upgrade your databases to compatibility 90 or above – we are in 2011, after all. Thanks again for this month’s edition of T-SQL Tuesday, Matt! Another T-SQL Tuesday has rolled around, and for once I was prepared for it. This month’s topic, hosted by Jen McCown (blog|twitter) is on the topic of Resolutions. I spent a week rolling around ideas in my head for this topic, hit upon some excellent angles, and then had fate completely change the direction of my post. I’m not a big believer in "New Year’s Resolutions", mostly because they’re so clichéd and popular opinion is that you’re doomed to fail if you have one. Instead, I appreciate the holiday period as a time to reflect and set more general life directions, as opposed to the focussed task of "exercise more". I really should blog more often, say once per week. Something 95% of SQL bloggers say every few months. I really should post a bit more on my favourite SQL-based forums. Two quality posts a day sounds feasible. This one mostly comes down to time. Wow, that MCM certification looks awfully interesting, challenging, yet achievable. Let’s do that! 2011 will be the year where I get my head around recursive CTEs! Can I please, please, please use the MERGE command in production code? Denali, I’m playing with you. Get ready to be swept off your feet! That third point, the MCM should be enough to keep me busy for the first half of the year at least. I’ll need to do the MCITP 2008: Upgrade from 2005 DBA exam (70-453), and then the MCTS 2008: Developer exam (70-433) (I’ve already done the 70-451, back when it was in beta). I have already planned for these in a more serious way. I changed different things in my life in November, December and January, so there’s nothing particularly significant about January 1. Do it now – don’t wait until some arbitrary date! However, it is important to consider the non-technical side of your life, which is something that hit home to me again last night as I received news of my wife’s family in flood-ravaged south-east Queensland. Don’t be so fixated on SQL Server that you dilute or lose connections with your loved ones. No matter how warm SQL Server may be (especially when you’re standing next to the server during business hours! ), it’s a very poor substitute to family and friends.